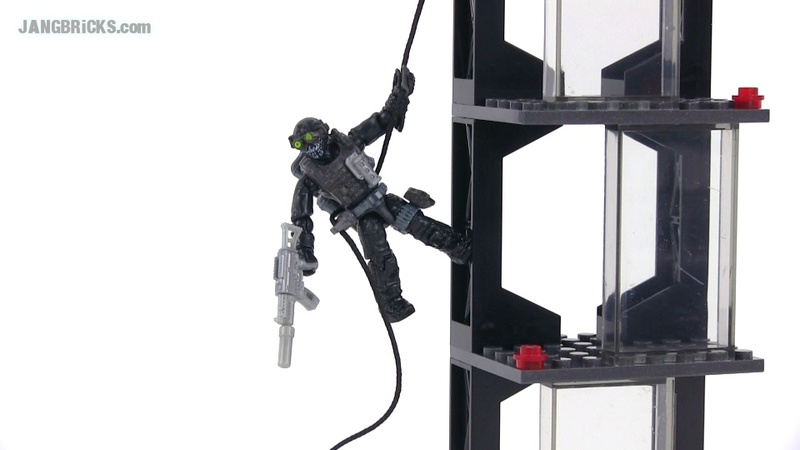 Build the Call of Duty Ghosts Rappel Fighter Collector Construction Set by Mega Bloks. Secure your line and take a leap off a fully buildable tower, complete with rappelling platform, zip line and grappling hook. Super-poseable micro action figure wears a removable backpack, combat knife and mask, and moves smoothly up and down the zip line! Create exciting scenarios with this unique buildable set and authentically designed accessories.